Nissan recorded a significant 30th anniversary year in the UK in 2016, with output of more than 500,000 vehicles, cementing its position as the largest British car plant in history, and major investments pointing the way to further growth. Production in Sunderland of 507,430 vehicles last year was the second highest total in the plant’s history. Highlights included record volumes of the all-electric LEAF and the 2ndgeneration Qashqai, with the original crossover now made on both production lines for the first time. And 2017 is set to be another big year for Nissan in Sunderland. Total volume at the plant is now approaching 9m since the first car rolled off the line in 1986. Other milestones on the horizon include the launch of a refreshed Qashqai, and the introduction of Autonomous Drive technology. Kevin Fitzpatrick, Nissan Divisional Vice President, European Manufacturing, said: “Since the birth of our factory three decades ago, North East England has become one of the major international automotive centres. Britain is now home to Nissan’s best-selling and most technologically-advanced models in Europe, covering our market-leading crossover range, the world’s best-selling electric vehicle and two premium models for global export. Following the start of production of the Infiniti Q30 in late 2015, a second Infiniti model, the QX30, went into production for global markets in 2016 – which also represented the first time vehicles have been exported from Sunderland to the USA and China. Other highlights in 2016 included the installation of 19,000 new solar panels alongside the plant’s existing 10 wind turbines, taking the contribution of renewables to 7% of the plant’s total electricity requirements. Last year also saw the number of children to have taken part in the Nissan Skills Foundation go past 18,000, covering workshops, competitions and practical activities which use motorsports, electric vehicles and Nissan’s manufacturing prowess to inspire the engineers and manufacturers of the future. Looking ahead, new facilities under development at the company’s Sunderland plant include a new £37m Extra Large Press line, due to start production in the coming weeks. Other investment announced in 2016 includes the £22m Qashqai capacity expansion and £26.5m in manufacturing a future generation of electric vehicle (EV) batteries in the UK. In addition to the company’s £3bn annual injection into the British economy through suppliers, services and wages, £650m ongoing investment in new facilities and future models in Sunderland will take the total capital investment by Nissan in the plant since it opened to beyond £4bn. 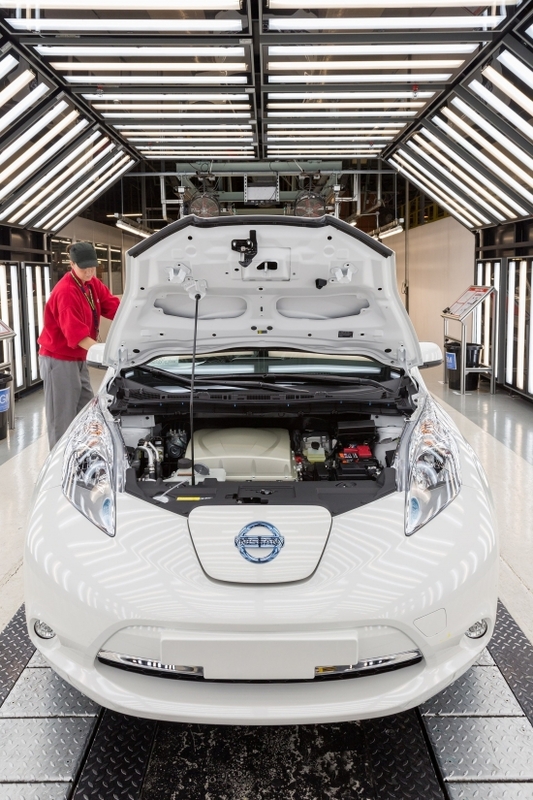 Nissan’s continuing investment in the UK has been supported by several previously announced UK Government grants for innovation and energy efficiency projects, including future-generation EV batteries (£7.1m). 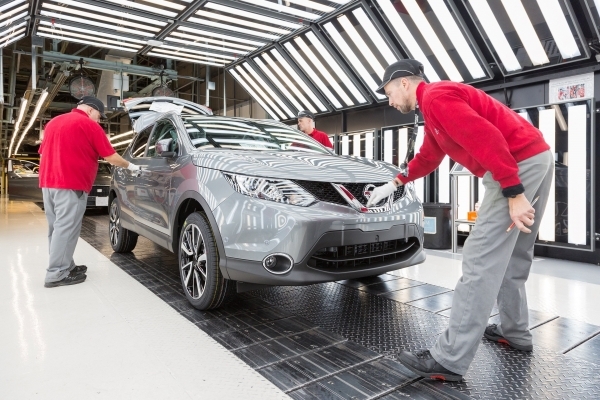 Employment in Nissan’s UK design studio (Paddington, London), technical centre (Cranfield Bedfordshire), manufacturing plant (Sunderland, Tyne and Wear) and sales and marketing operations (Maple Cross, Hertfordshire) now totals more than 8,000. A further 28,000 jobs in Nissan’s UK supply chain and 4,000 in its UK dealer network takes the total British jobs supported by Nissan to more than 40,000. New models on the horizon for Sunderland include three next-generation crossover models, building on Nissan’s leadership in the segment. Not only have the future Juke and Qashqai been secured for UK production, but an additional model, the X-Trail, will in future be made in the UK for the first time. Having played a crucial role in the development of the current models, the teams in Nissan’s European Design Centre in Paddington, London and European Technical Centre in Cranfield, Bedfordshire, will be instrumentally involved in the development of these new pioneering crossovers.